Kathy Cooper, Rice County Safe Communities, alerted me to the new DWI task force, called the MOD-Squad (“Modifying Driving Behavior”). Griff, as you probably remember from last year, Rice County was number 11 of the top 15 deadliest counties for alcohol-related deaths and injuries. Unfortunately, we are on the list again… There will be a briefing in Northfield on Friday, December 5 at 2030 hrs. We’re now 8th deadliest. See the poster (PDF). Click play to listen. 20 minutes. After the briefing, I watched Deputy Smith place a DWI Arrest Zone sign on N. Hwy 3 by the Dairy Queen. We’re planning to have Silkey and Smith on next week’s Locally Grown radio show/podcast. See the Rice County 11/22 press release High Visibility Enforcement Scheduled and the press release of arrests made on Thanksgiving eve titled Coming Soon . 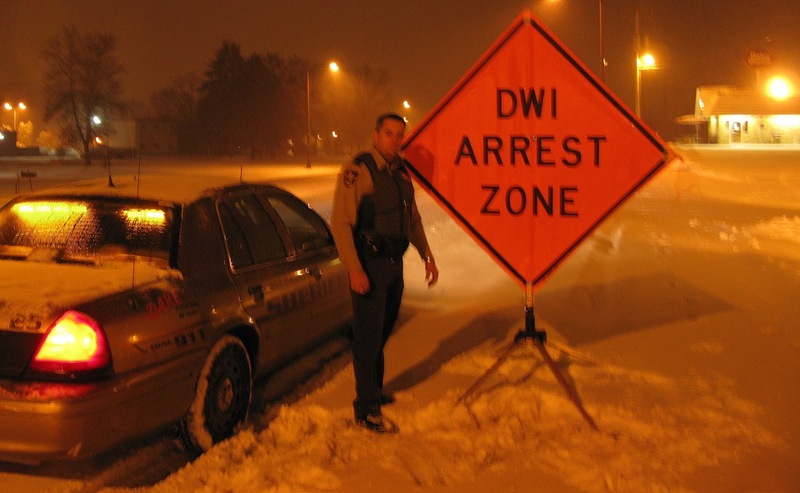 . . To A City Near You: Rice County MOD Squad Initial DWI Enforcement Effort Successful in Making the Rice County Roads Safer by Arresting 8 Impaired Drivers. 11:30am update: I’ve added the poster above, as the announcement was just made that Rice County went from 11th to 8th deadliest county in the state. Rice County is number 11 of the top 15 deadliest counties for alcohol-related deaths and injuries. Obviously not an acceptable list to be on. Due to this, we have received a rather large grant “NightCap” to fund overtime to conduct highly visible, aggressive saturation patrols throughout the county for impaired drivers. This is in addition to the Safe and Sober grant Rice County has rec’d for 2009. This is a collaborative effort between State Patrol District 2100 and all local agencies within the county. Saturations will target events and roadways where there is a greater likelihood of impaired driving. 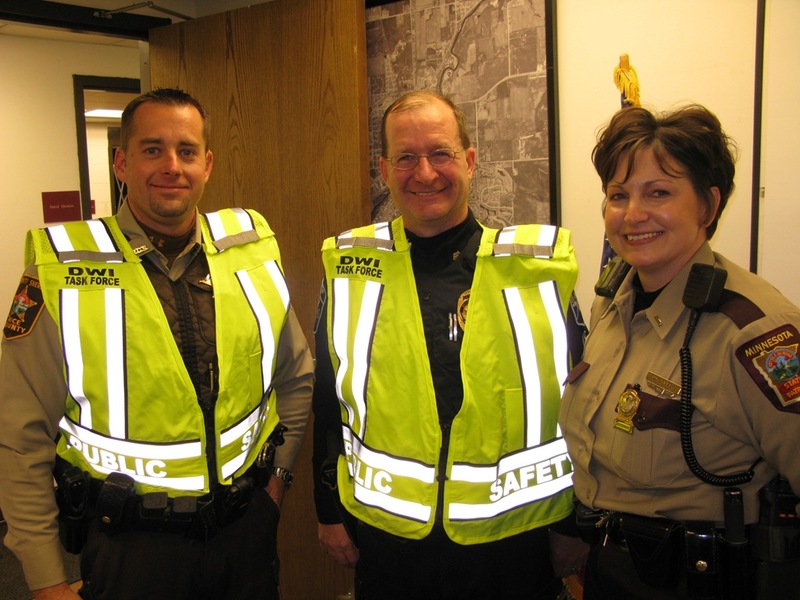 The ultimate goal is to coordinate and plan use of traffic safety funds to maximize the results of our projects and reduce the number of traffic fatalities and injuries in Rice County. To accomplish this, we have created a task force, or MOD-Squad if you will. MOD-ifying unsafe driving and saving lives, one stop at a time. This will be the unveiling of our task force. There will be a short presentation and roll call prior to hitting the streets which you’re welcome to attend. I also invite one, or both of you to ride along for as long as you like with our two Deputies assigned. We will be targeting the Faribault area on this first saturation and there will be an additional 6 law enforcement officers from various Rice County/State Patrol agencies involved. Signs will be placed in multiple locations stating “DWI arrest zone” and all officers working will be required to wear high visibility safety vests identifying them as “DWI Task Force”. Will we be doing 16 of these event between the 26th and Aug. of ’09. I encourage you to take part and if you’re interested in receiving stats after each event I can provide them to you. As I said before, this is a highly visible program and will effect the entire county and I’m sure bordering cities like New Prague and Montgomery. We, coordinators, want the media to be as involved as possible and assist us in educating the public. 11:30am update: I’ve added the poster, as the announcement was just made that Rice County went from 11th to 8th deadliest county in the state. Rice is the 13th most populous county with 59,000 people. Olmsted County (Rochester) with more than twice the population (137,000) is no longer on the list. I wonder if the state could do more with drinking establishments, eg, offering more employee education, encouraging policies that have staff ask patrons “who’s going to be the designated driver in this group?”, shutting off obviously intoxicated patrons sooner, etc. The stats show a huge percentage of the deaths/injuries occur on Fri and Sat nights. Seems like an opportunity. There is an opportunity, but because of the unpredicatibility of the effects of alcohol and other drugs, it’s tough to make those types of calls. Rice County now ranks #8, in the 13th deadliest counties for impaired driving which is up from 11th last year. The rankings are compiled from that stats for a 3-year period, 2005-2007, and include all alcohol-related crashes, fatalities and serious injuries. 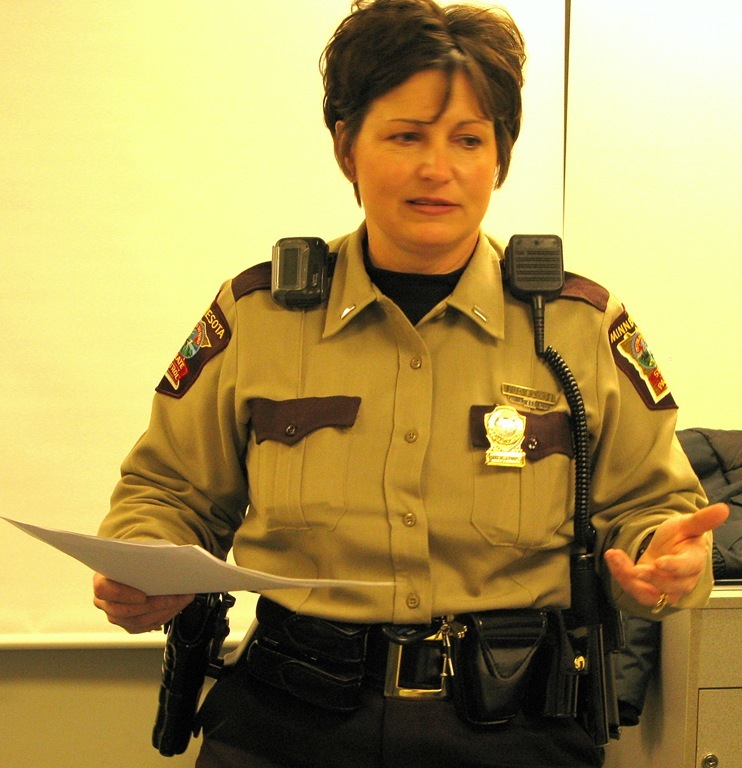 In 2007 there were 4 traffic fatalities in Rice County and zero were alcohol-related. Unfortunately, there were many serious injury crashes that involved alcohol and that along with the stats from 2005 and 2006 have not only kept us on the list but moved us up in the rankings. As you know, I am the coordinator for the Rice County Safe Communities Coalition. The Coalition is a component of the state’s cornerstone traffic safety initiative, Toward Zero Deaths (TZD). TZD focuses on the application of four strategic areas to reduce crashes — enhanced enforcement, engineering improvements, education and effective emergency trauma response. Our goal is to reduce the number of serious injuries and deaths due to vehicle crashes. This year is the third Safe Communities grant and the first to include funding for alcohol education and awareness programming. In addition to working with law enforcement on community education efforts we plan to implement workplace-based education campaigns on impaired driving. This is a problem that affects everybody and we hope to have “everybody” helping us to keep drunks off the road. There are seven other counties in SE Minnesota with Safe Communities grants and we work together on strategies for public education and awareness campaigns. 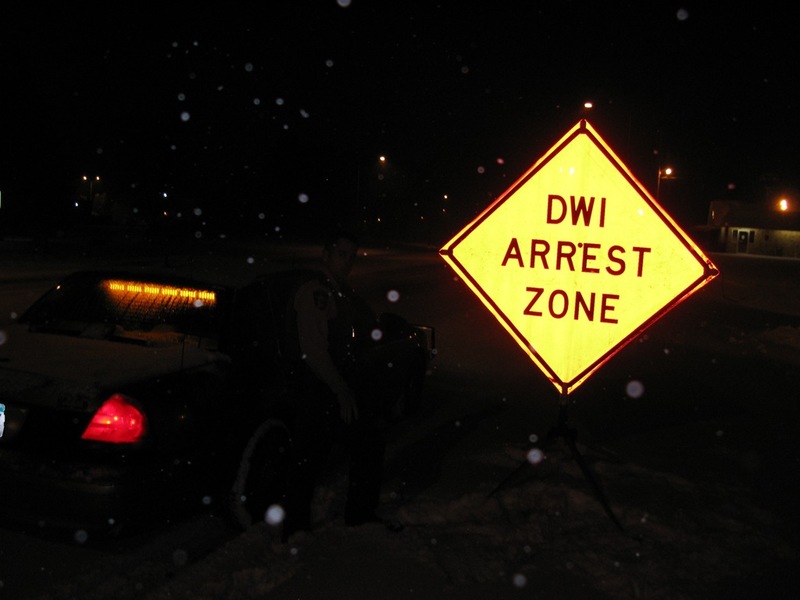 Thank you for helping us get the word out in Rice County about “Over the limit, under arrest”. 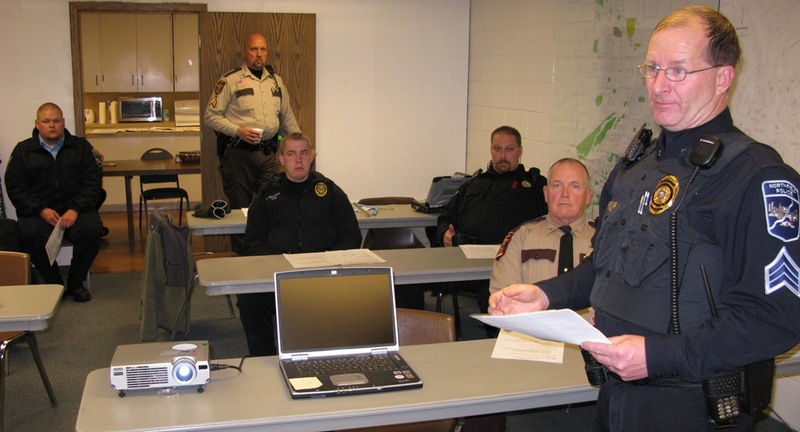 The Rice County MOD Squad is serious about getting impaired drivers off the roads. And, it’s not just about writing tickets, it’s about educating the public not to drink and drive. The only goal is to reduce the death and destruction on our roadways. Kathy, thanks for bringing this issue to attention, and for the work you do with the Rice County Safe Communities Coalition. I know that locally training is done for alcohol providers that helps them understand how to check for under aged drinkers etc. Can you explain a bit about who does the training, who has to take it–and what else besides ID’ing under aged drinkers is involved? Thanks…. Griff: Wouldn’t you expect Rice County to do really well on a “deadliest counties” ranking? I mean, anyone who reads Locally Grown knows that a major obsession in Northfield these days is how we can get a bigger and better liquor store. And aren’t we trying to promote downtown Northfield as a good place to come for a few drinks, even out on the sidewalk if the weather is good? The poster listing the 13 deadliest counties doesn’t explain the rankings. Are they based on raw numbers of incidents or adjusted for population. I think all seven counties that beat us have more people. But seriously, do you have any information or data on the accidents that put Rice County at Number 8? Without knowing a little bit more about who was involved and what they were up to, it’s impossible to draw any conclusions. Katherine: Could you fill us in on details of the serious injury crashes? A list of what happened, who was hurt, and who was drunk would help. And as more information is usually better than less, could you please provide it for the entire three-year period? Thanks. not have a list handy for the entire period. The first Safe Communities grant was awarded in 2007 and one of the requirements was to establish a Fatal Review Committee to “review” each fatal crash in Rice County, not to establish blame, but to look at all the contributing factors and see what could be done to education the public so this type of crash doesn’t happen again. 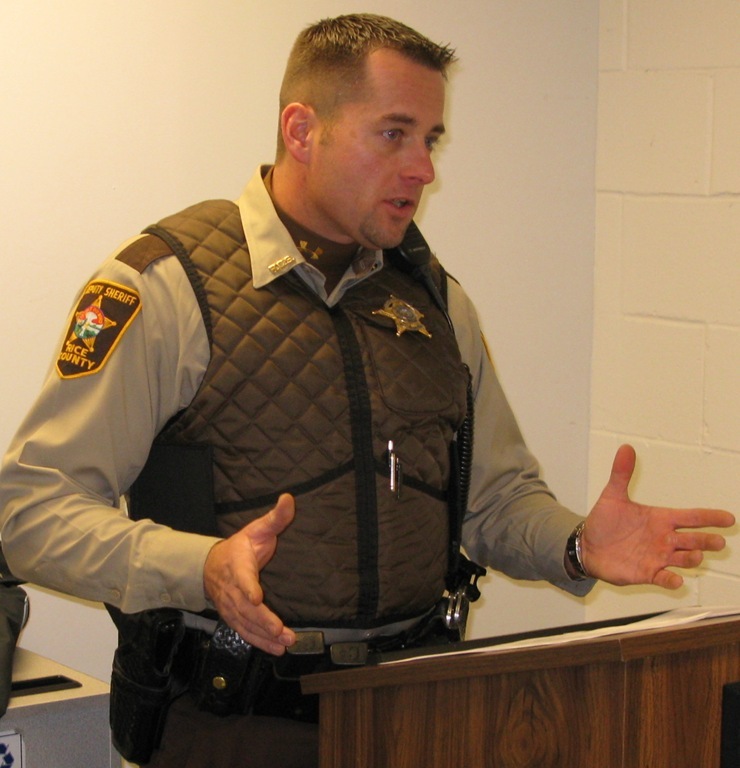 I can tell you this, in 2007, there were 4 fatal crashes in Rice County, two on county roads and two on state highways. The Fatal Review Committee met to discuss each fatal crash collecting the following information: all four fatals involved the drivers, three of whom were males. Two males were not wearing seat belts; the other male was operating a motorcycle with no helmet. The 4th fatal was a 16-year old teenage female driver who was wearing a seat belt at the time of the crash. Speed was a factor in two of the four crashes. There were no alcohol-related fatal crashes in 2007. Three of the fatalities were under the age of 30. In 2008, as of November, there have been 8 traffic fatalities: 5 vehicle, 1 motorcycle, 1 pedestrian, and 1 bicycle. Not all of the crashes have been reviewed by the Fatal Review Committee yet. At least one so far is alcohol-related, and the driver has been charged with criminal vehicular homicide. Several of the investigations are still open so there may be more. Hope this is helpful informataion. Katherine: Thanks. That information is helpful. I can remember a few of these accidents already, and it should be possible to fill in quite a few blanks by looking through the print editions of local papers. Do you know the name of the individual charged with criminal vehicular homicide in the 2008 alcohol-related accident you mentioned? Samuel Dalton, 47, was charged in the July 4, death of Randy Ronquist, 41. Dalton was driving a golf cart and Ronquist was a passenger. Rice County is also home to “Career drinker” facing his 9th DWI, see article in the Faribault Daily News, Nov. 20. There is also a note in the editor’s column that this guys 8th DWI only netted him 20 days in jail. What happened to felony DWI??? With the holidays here, please make plans for a safe ride home from your parties before you go out. Thanks, Katherine. I remember that one. It just wasn’t coming to mind because I was thinking “traffic” and not including golf carts. That’s not to say that anyone should be tearing around in a golf cart, drunk or sober. I was returning home Thursday evening via St. Olaf (going west towards the campus). When I came to the stop sign on St. Olaf & Lincoln, I noticed a vehicle ‘parked’ up and off the street on the north side facing east with its lights on. I flashed my brights thinking that it was a severely disoriented driver and praying that they would not plow into me. After waiting a few seconds I eased into my right hand turn onto Lincoln. Imagine my surprise to discover it was (I think) a Rice county Sheriff’s car! I am sure it was waiting for Ole’s returning from downtown. At first I was surprised, then I was thankful. I have noticed the drinking in the rented houses on Lincoln during the spring ‘spills’ out into the street — along with the paper cup trash. I am getting back to your question about training for alcohol providers. Here is what I learned from Kathy Sandberg of the Rice County Chemical Health Coalition. The training is offered through the Chemical Health Coaltion and the Enforcement Team is provided in cooperation with South Central College. The training was created and endorsed by the Department of Public Safety….Traffic Safety….Alcohol and Gambling Enforcement Division AGED). Our trainers (we now have 2 active trainers) were trained by Brian Kringen, the AGED trainer. The course acquaints beverage servers and sellers with the rationale for the training, the pertinent ordinances, the importance of requesting and verifying identification, techniques for refusing overserve customers and other issues. While the majority of the focus in on identification, other topics are also covered. Upon completion of the course, participants receive the state certificate and record of their training is kept on file at South Central College. All beverage sellers and servers are asked to complete training. The frequency of training required and the time frame in which it must be completed vary from community to community in Rice County. Scott, as I mentioned today on the phone to you, I’ve deleted the last sentence from your #6 comment above, as I thought your attempt to alert people to a person in jail over the weekend was inappropriate for this blog. The person is not a public figure nor in a position of leadership… and as far as I know, there’s no public policy-related issue with their case. Careful readers, though, may be suspecting a double standard at work here, as you’ve let stand above, without comment, the name of an individual charged but not yet convicted in matters relating to a tragic accident that took place in Rice County this past summer. (I have his next court date as Jan. 7 at 1:30 p.m.) Is there a subtext of class and privilege here? I take it you don’t play racquetball with this guy. I’m just wondering whether there isn’t a bigger issue here. If there were 31 fatalities of which 6 involved impaired driving and 36 serious injuries involving drunk driving, then it means drunks were doing a better job of staying alive than sober people. I know, I know, there are fewer impaired drivers so the percentage dying is higher, but my point is that there are several issues at play here. Where are all the accidents happening? We should be analyzing all the accidents for all factors, not just alcohol. For example, if most of the drivers, drunk or sober missed one particular curve on a particular road, we need to be looking at redesigning the curve. If everyone is dying in the rain or snow, we may need better weather alerts or driver training. I think reducing the number of impaired drivers is a good one, but we need to be looking at reducing all accidents and addressing all safety factors. And if we’re attacking impaired driving, we need to know whether these deaths would have happened even if the drivers were sober. As for educating servers, it’s one factor. But alcoholics are a determined group. Stiff sentences for them — and anyone who lets them drive a car on a suspended license — is the only way to keep them off the road and the rest of us safe. Those interested in why we have so many traffic deaths (here and in rural areas generally) might want to check out the web site of the Center for Rural Safety ( http://www.ruralsafety.umn.edu ), which is housed at the University of MN. I worked with them (as a writer) on a report that was issued this past summer on the research projects the center is conducting about how to reduce deaths. The bottom line on rural safety is this: 2-lane highways are really, really dangerous; people in rural areas tend to travel more miles at high speeds (on 2-lane roads); and young drivers, especially young males, are prone to go too fast for conditions, causing accidents. In urban areas, those accidents tend to be fender-benders or injury accidents; in rural areas, they are fatals. Scott, I’ve asked you to quit being sarcastic with me once already and now you’re doing it again. Will you stop? It’s insulting. I think there’s an important difference between naming someone who’s had a DWI (evidently their first) that didn’t result in any injuries and someone who’s been charged with an offense in which someone was killed… convicted yet or not. Yes, both are public records and there’s no law against this blog discussing people whose behavior has resulted in a legal charge, no matter how small. I’m trying to avoid having Locally Grown be a place for gossip, while still discussing the public policy implications of people’s behavior. Does the school district have a pattern of ‘covering up’ behavior of employees with alcohol-related legal problems? I haven’t heard that and you didn’t indicate it. I think you were also being unfair to question their ‘vetting’ – as if it’s possible to hire teachers and know whether they might at some point have an alcohol problem. We don’t have guidelines spelled out on when people’s names can be used here and when they can’t, so this is a helpful conversation to have as we try to figure it out. But let’s do that in another blog post so that we can get back to the Mod Squad discussion here. So sorry, there are some typos and unclear sentences in my last post. Frankly, I was in a hurry and it’s badly written (we need an option to edit/delete and I need to slow down). I apologize. My point is only that we need to be very careful to cross-categorize accidents for all contributing factors to make sure other safety factors are addressed. And of course, I think tough enforcement is important. Mary, thanks for your answer to my very badly worded comment. Also, I see now too clearly the typos and clumsy sentences in my post and I apologize. Anne makes some good points. While I am generally against the expansion of the liquor store I don’t think we want emotions about alcohol to overly influence logic when looking at how to make roads more safe. A judge once told me that he had misgivings about punishing drunk drivers who have bad outcomes in accidents more severely than punishing drunk drivers who are pulled over but did not get in an accident. The crime is the same and the outcome is just a matter of statistical chance. When society allows advertising of alcohol (these laws was just expanded in recent years probably to help Russia sell more Vodka to facilate trade), has roads leading up to establishments that serve alcohol and parking lots around those establishments then it seems sort of obvious that people will be out driving drunk. I don’t understand how society effectively takes no responsibility for negative outcomes of public policy but wants to push all the responsibility and mete out punishment to individuals for what is clearly a social problem. I think a license to consume alcohol should be issued and then withdrawn at the first sign of personal trouble.